So to delve a little deeper, let’s explore both dry and wet masonry cutting and the problems they cause. In dry cutting applications dust potentially covers an entire site, which means daily maintenance. This gets to be costly and inefficient for you and your workers. And since the health and safety of your employees is vital, providing a safe environment is not really an option. With this said, the recent controversy over OSHA becoming more stringent with its standards on permissible silica and dust output has begun to change behavior and construction machinery choices. Exposure limits have to be below a certain level now, and not all masonry saws can boast the benefits that the iQ360 can. Shameless plug, the iQ360 really is a phenomenal product, with virtually no dust cutting. Wet cutting, although seemingly a better alternative in that it can eliminate some dust, creates another nightmare in the form of slurry. Slurry, in all its watery slop glory, only succeeds in producing an even bigger mess. Again, this liquid would need to be cleaned up and maintained after every work day. But again, the iQ360 completely negates the need for wet cutting application at all. All-in-all, the iQ360 meets a current industry need for a convenient, mobile, dust control masonry saw. The numbers speak for themselves – 99.5% of dust is captured by the iQ360 during cutting applications both inside and outside. 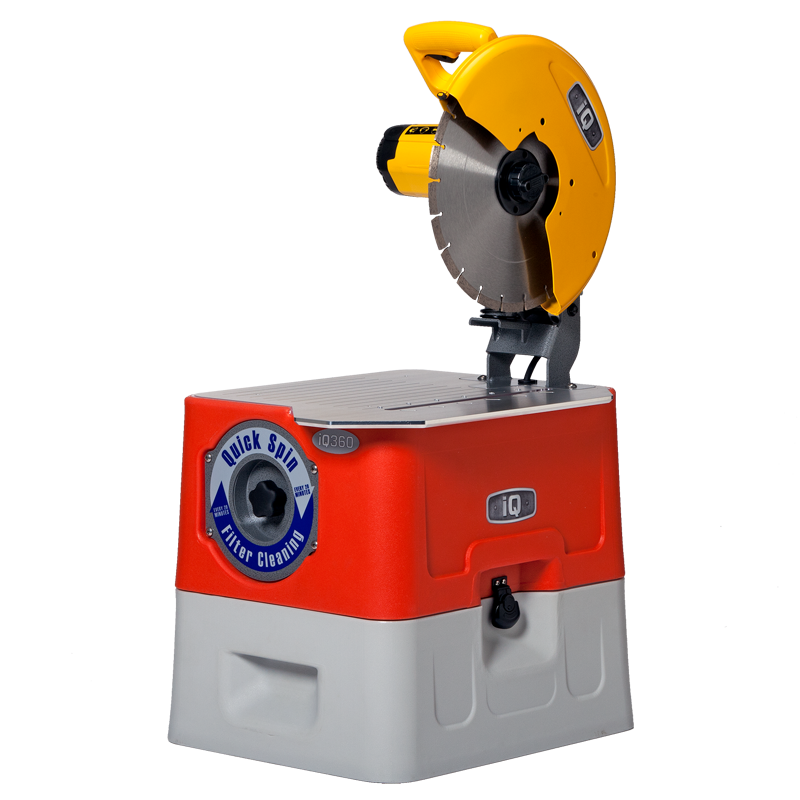 Additionally, this dust control masonry saw cuts through brick, stone, pavers and tile, and its design allows for the cutting of larger materials. These are only a few of the major benefits of the iQ360 – visit the product page to learn more. Or, if you are sold already, you can request a quote to rent or buy one here! whoah this blog is excellent i really like reading your posts. Stay up the good work! You understand, a lot of people are hunting around for this information, you can help them greatly. Thank you Tamela, I am glad you enjoy our blog so much! We want to establish ourselves as the go-to equipment rental experts in our area, and also for the industry as a whole, so your comment is much appreciated. Happy reading! Thanks for your marvelous posting! I truly enjoyed reading it, you may be a great author. I will always bookmark your blog and will come back down the road. I want to encourage continue your great work, have a nice weekend! You are very welcome Norris, glad you enjoyed it so much. We would love for you to continue reading and to continue giving feedback. Are there any topics you would like to read or know more about? web site iѕ actually good and the viewers are actually sharing good thoughts.